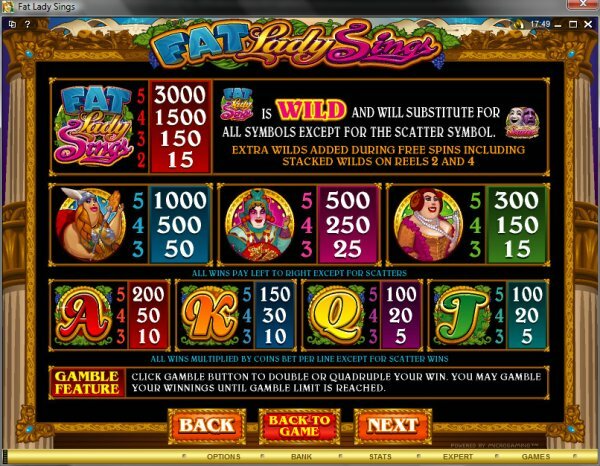 Overview: May 2009: FAT LADY SINGS is a 5 reel, 25 payline Video Slot that is both colorful and amusing, offering a host of the sort of advanced features that slot players enjoy. These include an innovative bonus system, Free Spins galore, generous Multipliers, Wilds, a Gamble feature and Scatters, all of which present the player with great opportunities in terms of both entertainment and rewards. 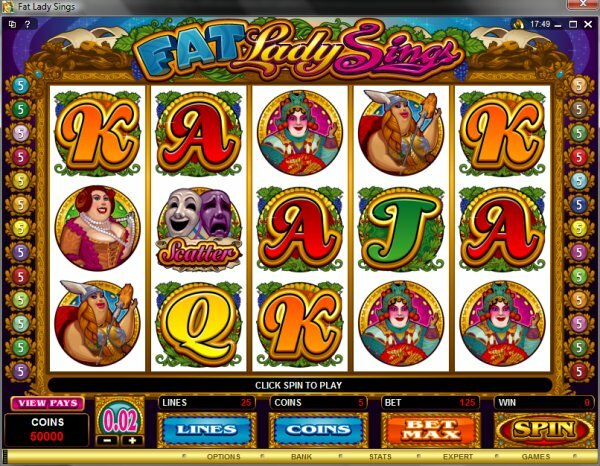 The key to both Free Spins and bonus action is the thespian mask - get 3, 4 or 5 of these across the reels and open up a second screen wealth of opportunity in Free Spins and Bonus picks. The symbols take the player into three bonus screens, each overseen by a distinctive soprano and each with three choices of volume for the singer's voice to shatter glasses and reveal prizes. 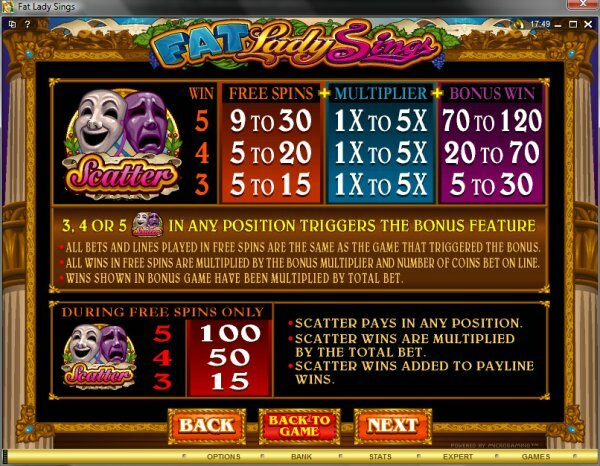 The first screen determines the number of Free Spins - between 5 and 30 - to be awarded; the second decides the Multiplier level between 1x and 5x during free spins and the third delivers a bonus win value. 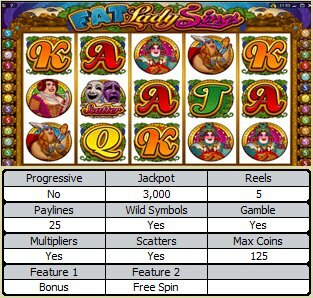 Similar Slots: If you like Fat Lady Sings, you might like these other 5-reel slot machines: Arctic Fortune, Beach Babes, Big Kahuna, Boogie Monsters, Reel Baron, Tiger's Eye.